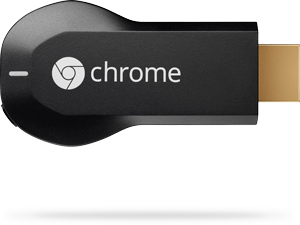 A friend got his hands on a Chromecast recently, but due to some technical restrictions was unable to use it, as such he lent it to me to give it a twirl. A Chromecast has been on my wishlist for quite a while. 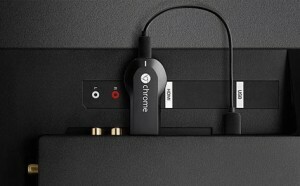 I really like the idea of the product, but the I haven’t been able to warrant the price of buying one when I have a PS3 plugged into my TV which will accomplish most of the things I want a Chromecast for. Setup was a cinch. 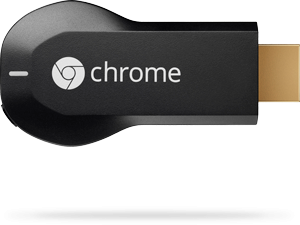 Plug the Chromecast into an HDMI port and a USB port on your TV and it’s set up its own wi-fi hotspot. I installed the Chromecast app on my Android phone and connected directly to the Chromecast. Then used that connection to get my Chromecast onto my home wi-fi, after that I was good to go, or so I thought. First thing I wanted to do was play music from my phone onto the TV. Open my default music app (Samsung Music) and continually press the ‘cast’ button, but am unable to find any devices. Realise this isn’t a Chrome’cast’ icon but a Samsung feature. Decide to try Google Music instead. Surely. First I had to re-enable it. Can’t find a ‘cast’ icon. Update Google Music, still can’t find a ‘cast’ icon. After much Googling, still can’t find out why my ‘cast’ icon isn’t showing, but find out that it will anyway only allow you to play music in your Google Music cloud, of which mine is empty. Give up. Open Youtube app, works perfectly. Youtube takes a bit longer to open on the Chromecast itself than what I’d like, but after its loaded it works fairly well. After a while I found the LocalCast app. 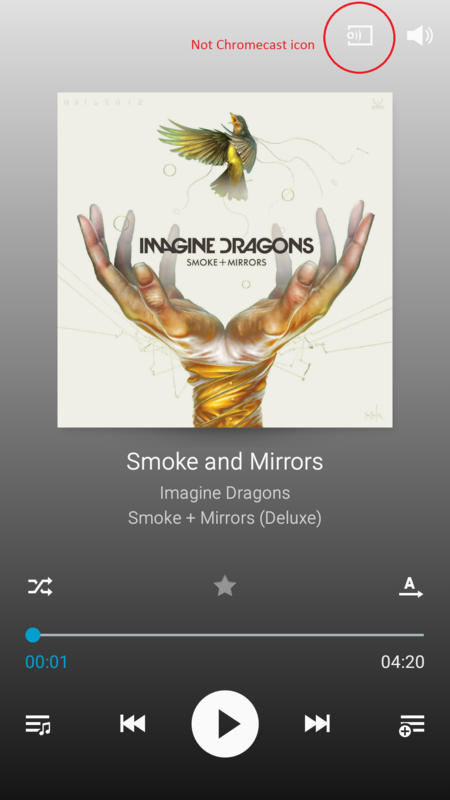 Install that and am finally able to play music from my phone onto the Chromecast. However the free version has horrendous advert implementation. After a few songs a video ad would start playing on my phone, and at the end of the advert the music would stop casting to the TV, this happened on several occasions. Give up and try Soundcloud app. This worked fairly well, however after listening for a while, when the next song would come on, it would first play on my phone speaker for 10s before jumping over to the Chromecast, slightly annoying. I eventually gave-up on the phone and started playing with Chrome on my PC. I installed the browser’s Chromecast extension and connected to my Chromecast. Amongst other things this lets you cast your browser tab to the TV. This worked very well. I ended up playing individual podcasts and Soundcloud from my browser to the TV. I then installed the recommended Videostream extension. From this I managed to watch videos on my TV. This worked relatively well, although depending on the file format, I could watch flawless 720p video, or get buffering issues on a 360p clip. A bit annoying; maybe my wi-fi is partially to blame. Overall I love the product, the apps however need some work. A lot of work. Maybe I didn’t try hard enough, maybe I should have tried out one of the paid for apps, but I really expected it to be better supported by Google application and extensions. I still don’t have a nice way to play music from my phone or computer in a nice library format. In any case, I gave the Chromecast back. It’s still on my wishlist, and if there’s a massive sale I might buy one, but not at the R650 Takealot is asking. This entry was posted in electronics and tagged chromecast by Gareth. Bookmark the permalink.